Walter Palmer, the Minnesota dentist who acknowledged hunting and killing Cecil, a beloved lion in Zimbabwe, is now the one being hounded on the Internet by protesters flooding his social media, creating online petitions and mocking him on parody accounts. Over 273,000 tweets contained the trending hashtag #CeciltheLion on Twitter in the past 24 hours after the Zimbabwe Conservation Task Force, which is not part of the Zimbabwe government, alleged in a statement on Tuesday that Palmer paid $50,000 for the chance to kill Cecil the lion in early July. ABC News has not been able to independently confirm that figure. Palmer responded later Tuesday, saying in a statement that he "deeply" regretted the pursuit of the early July hunt in Zimbabwe that "resulted in the taking of this lion." He added that he "had no idea" Cecil the lion was a "known, local favorite, was collared and part of a study. I hired several professional guides and they secured all proper permits. To my knowledge, everything about this trip was legal and properly handled and conducted." But the Internet wasn't satisfied with Palmer's apology and descended upon on the Minnesota dentist on social media. Palmer's Facebook page for his dental practice, River Bluff Dental, was flooded with expletives directed towards him and death threats. The website was seemingly taken down Tuesday evening and was not up as of Wednesday morning. Palmer's Yelp page for his practice has also received an overwhelming amount of sarcastic reviews attacking him for killing Cecil. The page was still up as of Wednesday morning. This photo shows the dental offices of Walter James Palmer in Bloomington, Minn., on July 28, 2015. "I hope your patients abandoned you and that you are never able to earn a living again so that you can no longer bankroll your lust for killing," a user by the name of Mike C. wrote on the page. "Five Stars at being a miserable excuse of a human being," another user by the name of Thomas D. wrote. "You are not a hunter but a coward!" A parody account mocking Palmer and his dental practice was also created on Twitter under the handle @RiverBluffDental. Additionally, online petitions to both U.S. and Zimbabwe officials have garnered thousands of supporters. An online petition to President Obama on Change.org demanded "justice for Cecil" and for the creation of new laws protecting big game from being hunted outside of the U.S. and brought back. Over 7,200 supporters signed the petition as of Wednesday morning. Another petition on Care2 Petitions was addressed to Zimbabwe Republic President Robert Gabriel Mugabe and also demanded "justice for Cecil" and for the country to "stop issuing hunting permits to kill endangered animals." The petition had over 350,000 signatures as of Wednesday morning. Palmer and his spokesman Jon Austin did not immediately respond to ABC News' requests for comment on the outpouring on social media. 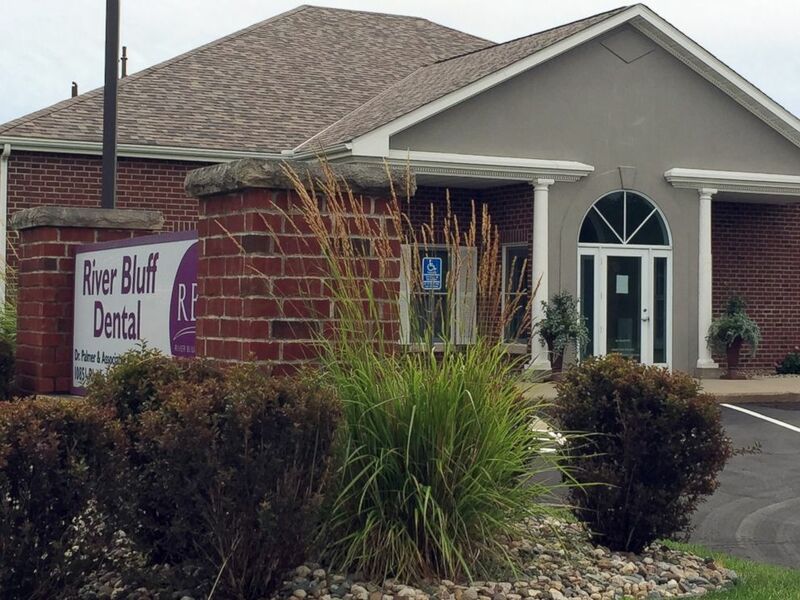 River Bluff Dental was closed Tuesday and today. The U.S. Fish and Wildlife Service issued a statement today noting that the agency is "deeply concerned about the recent killing of Cecil the lion." "We are currently gathering facts about the issue and will assist Zimbabwe officials in whatever manner requested. It is up to all of us -- not just the people of Africa -- to ensure that healthy, wild populations of animals continue to roam the savanna for generations to come," the agency said in its statement. In 2008, Palmer pleaded guilty to making false statements to the U.S. Fish and Wildlife Service about a black bear he shot and killed in Wisconsin outside of an authorized hunting zone, according to court documents. Though Palmer said in his Tuesday statement that he had "not been contacted by authorities in Zimbabwe or in the U.S. about this situation," the Associated Press reported that Zimbabwe police said they were looking for Palmer, who is facing poaching charges. "We arrested two people and now we are looking for Palmer in connection with the same case," Zimbabwe Republic Police spokeswoman Charity Charamba told the AP. A professional hunter named Theo Bronkhorst and a landowner named Honest Trymore Ndlovu are facing criminal poaching charges in connection with Cecil's death and are set to appear in court today, the Zimbabwe Parks and Wildlife Management authority said in a joint statement along with the Safari Operators Association of Zimbabwe on Tuesday. Safari Club International suspended Palmer and his guides pending the outcome of an investigation surrounding the death of Cecil the lion.